Based in London’s exclusive Pimlico, Soane Britain is one of the UK’s leading prestige interiors and furniture brands. 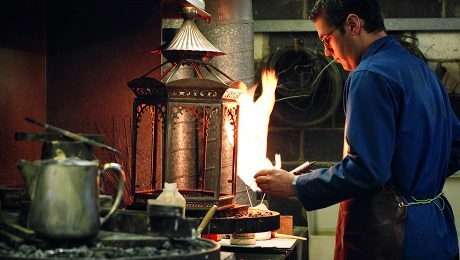 Every piece in its range is individually handmade to order by craftsmen in its own workshops, and specialists around the country, helping to maintain skills and traditions that might otherwise be lost. Soane Britain approached us to design and develop its brand identity, marketing communications and website. As craftsmen ourselves, we recognise that, in marketing prestige products, you have to demonstrate values like quality and attention to detail, not merely talk about them. Our own love of materials filtered through every aspect of our designs for print and digital media, from paper stock and finishes to typography, illustration and photography. For the new website, we asked founder Lulu Lytle to hand-write all the navigation elements. Using a script font would have been quicker, easier and more conventional, but entirely contrary to the company’s unique brand values and personality. We also created an entire section dedicated to the craftspeople who handcraft every Soane Britain product, and are such an important part of the brand story. Our image style is classical, in keeping with the company’s British heritage, but clean and contemporary to match its global market and audiences. As brandmakers ourselves we appreciate the quality of craftsmanship and consequent flexibility in production – two traits that sets us apart. 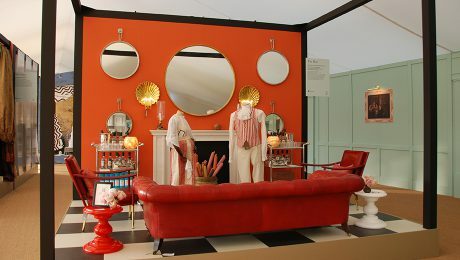 Soane's stand at Decorex 2014 celebrated the Georgian era. "WORKING WITH WARREN CREATIVE IS SO REFRESHING. THEIR NATURAL ENTHUSIASM IS EVIDENT THROUGHOUT ANY PROJECT AND YOU REALLY FEEL LIKE THEY ARE GIVING YOUR BRAND THE SAME LEVEL OF LOVE AND CARE AS YOU WOULD. WHAT’S REALLY BRILLIANT IS THEIR TEAM, WHICH IS PACKED WITH TALENTED PEOPLE. DESIGNS ARE CONSISTENTLY STRONG, TECHNICAL SOLUTIONS ARE CLEVER AND THERE’S ALWAYS A “CAN DO” ATTITUDE."